shipment arrives compliant and on-time. 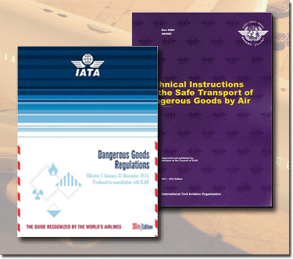 regulations & reference material you need. from the experts with hands-on experience. Whether you need 4GV UN boxes, 4G UN boxes, steel UN drums or plastic UN jerricans - we have you covered. Our experienced staff and extensive products are here to ensure you have the right UN packaging supplies for your compliance needs - 4GV boxes, UN approved for a variety of hazmat/dangerous goods in packing group I, II, or III; 4G UN Packaging for batteries, paint cans, aerosols, and more. Our selection of UN tested packaging products - boxes, drums, bags & jerricans - are approved for all modes of transport [compliant with TDG & 49 CFR (ground), IATA (air), & IMDG Code (marine) dangerous goods transport regulations]. Browse our laboratory & biological substance packaging – 1B containers & boxes for shipping Biological Substance, Category ‘B’ and exempt specimens. IATA approved (95 kPa) self-seal and heat-seal plastic bags for air shipments of liquids and many other dangerous goods packaging accessories. We stock a variety of sizes of 4G & 4GV boxes, X-rated open head & tight head UN drums, and UN jerricans - most products ship same-day. Don’t see what you’re looking for? Let us know! Custom requests are welcome. Design of custom UN boxes and UN box testing are also available. Visit our UN Packaging or UN Packaging FAQ page for more information. Want answers fast? Send us a message. Serving BC Alberta Canada and Washington Oregon California USA – now shipping worldwide! We offer an assortment of monthly public dangerous goods training courses for those who handle, offer for transport, or transport dangerous goods. TDG training – ground DG courses, IATA DG training – air DG courses, and IMDG training – marine DG courses are all presented in Vancouver, B.C. WHMIS 2015 (GHS) training & Biological Substance training is also available on demand. 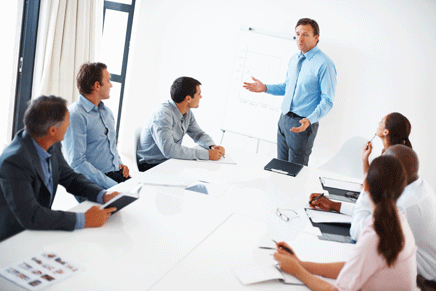 All courses are available as in-house training – ideal for larger groups &/or specific dangerous goods topics & scenarios. Our instructors have years of experience. We pride ourselves on the insight gained through this hands-on experience. Allow your employees to benefit from the insight this practical knowledge has afforded us. 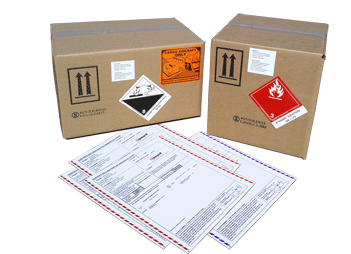 We carry the largest selection of dangerous goods labels and dangerous goods placards in BC. Whether you need TDG placards for trucks, IATA DG labels, or IMDG placards – we have you covered. Tagboard TDG placards for trucks; adhesive IMDG marine hazard class placards, IMDG limited quantity placards & marine pollutant placards for ocean shipping containers & tanks; or rigid placards for permanent or long-haul road/rail marking – we have them all: standard, blank window, or on demand, with custom UN#. TDG labels for all modes of transport – paper and vinyl limited quantity markings (ltd. qty. labels) and hazard class labels for ocean shipments, IATA labels – lithium battery labels, handling labels, hazard class labels, overpack markings for air transport, and more. Custom design and printing is available. Concerned about your requirements to meet compliance under WHMIS 2015? We offer WHMIS 2015 (GHS) Supplier & Workplace label design & printing. 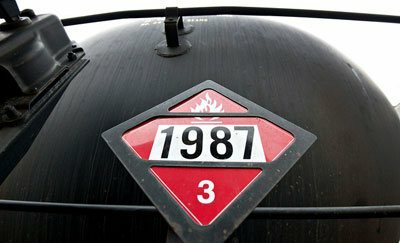 Do you ship dangerous goods infrequently? Costs associated with shipping dangerous goods can be high. If you send less than 10 shipments per year, it’s most likely cheaper to let us handle things on your behalf. Allow the experts to determine and supply the necessary packaging, labelling, & documentation for your DG shipment. Health Canada has aligned the Workplace Hazardous Materials Information System (WHMIS) with GHS and WHMIS 2015 legislation is now in force. Those who manufacture, import or distribute controlled substances under WHMIS 2015, must be mindful of the timeline they are afforded for compliance. Hazardous products under WHMIS 2015 must meet new GHS requirements for: classification, (M)SDS (16-part), supplier labels, workplace labels, etc.